Cook County State’s Attorney Kim Foxx is facing blistering criticism from an anonymous assistant state’s attorney in her office over the handling of Empire actor Jussie Smollett’s case, who described the situation as “an international laughing stock” in a letter published by CWB Chicago on Monday. The unnamed prosecutor also ripped Foxx for suggesting racism was behind the criticism of her dropping all charges against the actor. The State’s Attorney’s Office (SAO) is an international laughingstock, as politicians, comedians, scholars, legal pundits and regular ol’ citizens alike blast its handling of the case against Jussie Smollett. The criticism is pointed squarely at Kim Foxx, the first African American female elected to fill the prestigious role of Cook County State’s Attorney. The letter’s publication comes after Foxx defended her office’s decision to drop the charges during a Saturday press conference, contending that defendants in similar cases have had their charges dropped during her tenure. Foxx made the comments during a defiant and emotional address at the Rev. Jesse Jackson Sr.’s Rainbow-PUSH Coalition. 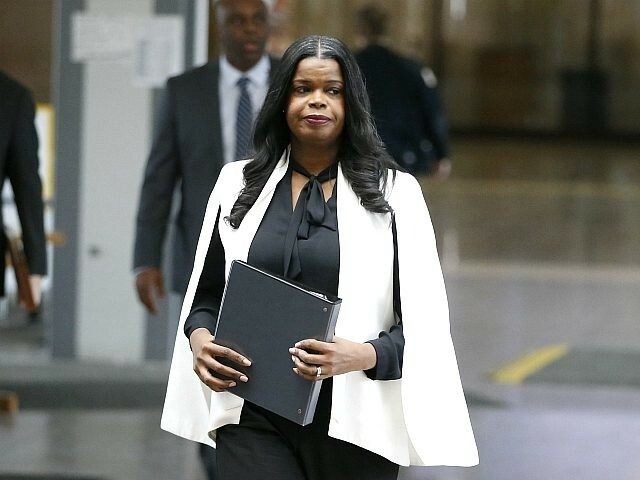 Foxx openly wondered if her race had something to do with the harsh criticism she has faced since her office announced that charges against Smollett had been dropped. The actor was accused of staging what he claimed to be a racist and homophobic attack on January 29 to boost his career. Smollett told two masked individuals beat him, doused him with an unknown chemical substance, placed a thin rope around his neck and shouted “This is MAGA country!” before fleeing. Last month, Foxx’s office backpedaled on claims that the top prosecutor formally rescued herself from the case after Tina Tchen, the former chief of staff of former first lady Michelle Obama, asked her to have the police’s Smollett probe handed over to the FBI. Former Deputy Assistant Attorney General John Yoo has said she could serve up to 20 years in jail if convicted of corruption in relation to her handling of the high-profile case. In her remarks, Foxx did not address specifics of the case, or the criticism leveled by legal experts and others who said it was highly unusual not to require an admission of guilt by Smollett, particularly since at the time they dropped charges, prosecutors said they believed they could have proven the charges against the actor. Meanwhile, Chicago officials announced last Thursday they will file a civil lawsuit against Smollett for the cost of the investigation into his alleged hate hoax. Mayor Rahm Emanuel’s chief legal advisor notified Smollett the week prior that the city is seeking $130,000 from him within seven days or face persecution for lying about his purported assault. Lori Lightfoot, who is scheduled to sworn in as Chicago’s next mayor on May 20th, could reverse any legal actions officials against the actor. In a recent appearence on MSNBC, Lightfoot said Smollett must be held accountable for potential wrongdoing. Meanwhile, Empire actress Taraji P. Henson told The View last that Smollett will return to the Fox Entertain drama next season despite the ongoing controversy.